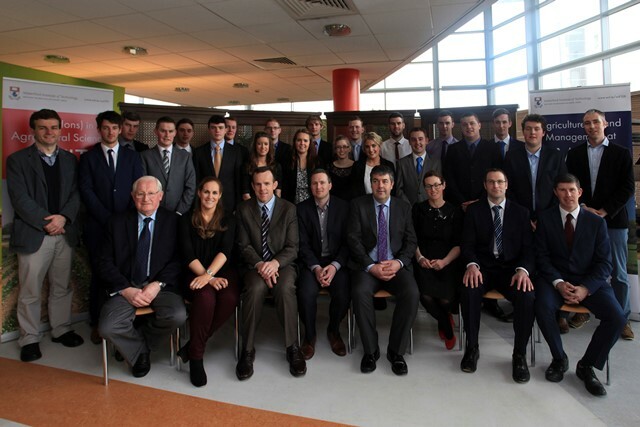 26 final year students from the institute’s BSc (Hons) in Agricultural Science and BSc (Hons) in Land Management (Agriculture) were put through their paces at mock interviews facilitated by the Agricultural Science Association (ASA). Eight industry representatives were at the institute on Friday, 11 March to test the students' interview skills. These were Neil Keane (Commercial Director of Alltech’s ruminant business across Europe and ASA president), Mary Delaney (Equine Feed Sales Manager with GAIN feeds and also ASA Vice President), Rob O’Keeffe (Marketing Manager with GAIN feeds), Jimmy Minnock (Operations Manager, Charles Wynne Feeds), Stephen Trant (Ulster Bank), Prof Frank Crosby (UCD), Julie Roche (Brady Group) and Declan Dempsey (Ag Advisor with Dempsey Agri Services). The interviewers were very impressed with the standard of all the students involved, their ability to answer technical questions and their overall professional attitude. However, they had to chose best performers from the four groups and those winners were Aine Butler, BSc (Hons) in Agricultural Science; Cathal Cashman, BSc (Hons) in Land Management in Agriculture; Eoin Finnegan, BSc (Hons) in Agricultural Science and PJ McGrath, BSc (Hons) in Land Management in Agriculture. WIT lecturer Dr Tony Woodcock said that “this type of process is invaluable to the students, as they get to experience a job interview in a safe environment and also receive very worthwhile feedback on their performance”. Tony thanked all of the interviewers for giving their time and expertise so generously. Students Feedback on the “mocks” was also extremely positive, with the general feeling being that the interviews were very valuable, and the feedback from the panel members was very useful to them as they finish their studies. BSc in Agricultural Science and Land Management (Agriculture) students have the opportunity to join the Agricultural Science Association (ASA) as student members with the mock interviews being one of the main benefits. They can go on to become full members once the students successfully graduate with their level 8 qualification. More information on our agriculture and agricultural science courses, as well as other land science and lab science courses, can be found here.